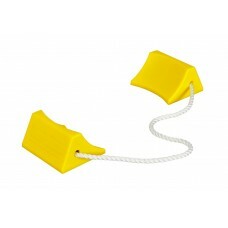 Our range of Checkers aviation chocks are ideal for use on airfields where a durable and hard wearing system is needed. When working around aircraft it is essential that FOD (foreign object debris) are kept to a minimum. FOD can cause major damage to aircraft if sucked into engine inlets. 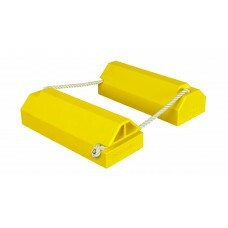 Our chocks far outperform rubber wheel chocks as they do not deteriorate in sunlight. They will last longer and as mentioned above will not break up causing debris. They are brightly colored and tethered together with a high quality rope that again will not degrade causing FOD.